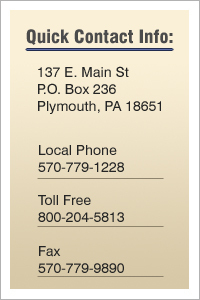 We are a family owned and operated independent insurance agency founded in 1939. We take pride in offering competitively priced products and superior customer service. We will quote simple policies right over the phone, more complex policies such as multiple cars and drivers will require a call back, binders or policies are issued the same day coverage is ordered. We explain all coverage in layman's terms not insurance lingo. If you are looking for fast, friendly service you are in the right place. 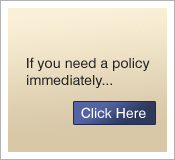 Get auto insurance quotes by filling out form or call us at 1-800-204-5813. Either way we will get right back to you with a quote that we're sure you will be pleased with.